We are in a busy wedding season and it brings extra joy to all of us here. Nothing says warm and cozy in your heart like a fall wedding! Here are some inspiring ideas and trends for your wedding day. We do write quite a bit about color schemes and trends. But you really go with what you like and what looks great to you! When picking out a color scheme, you can always take the season of your wedding in consideration. The fall season has an extensive range of beautiful bright color combinations while in spring – the colors are more pastel, fresh and less intense. We don’t get much of winter here in Southern California but beautiful pristine white always a great choice for a wedding! Candles, centrepieces and flower arrangements play the major role at weddings. But you can go beyond traditional solutions by using elements, plants and branches from the outdoors. It adds even more of that seasonal ambiance. Succulents always look great and minimalistic. Candles in containers will add a warm glow to a table. The organic way of living is steadily making its presence known. Cleaner, no-frill linens add a sophisticated touch and signifies harmony and growth. Add potted herbs on tables to add an ethereal charm. Additionally, to achieve the minimalist look through your wedding table settings, add crisp, white linens, simple china enhanced by delicate details, sparse natural-looking centrepieces. Adding fun pictures of the couple to each table is always fun to see. Making personal touches like keepsakes, wine glass rings or special custom dessert can impress your guests.Clients are increasingly moving towards self-customization instead of relying on generic ideas. From incorporating family crests or short messages on napkins and cutleries, to customizing menu cards with significant motifs and sketches; the sky is the limit. The dark hue of burgundy is the latest entrant into recent wedding trends. This rich, lavish shade goes wonderfully with gold. It’s a great option for fall! Create a stunning backdrop by placing accented stationary, gold votive candles and neutral linens to create a stunning scene. Much attention goes into decorating reception tables while chairs are left as a second thought sometimes. Invest in bows and burlaps to give plain chairs a punch of glamour. Try draping chairs with beads and sequinned fabrics that complement the table setting. Centrepieces are the crème de la crème for all décor, these accents will never go out of fashion. Some of the more popular and easily accessible centrepieces are candles in containers, customized candleholders, orchids, various flowers photographs of the newlyweds, fruit baskets, dessert treats and more. Browse Pinterest for a variety of ideas! You can view our photo gallery section for more ideas and tips on wedding table-setting. 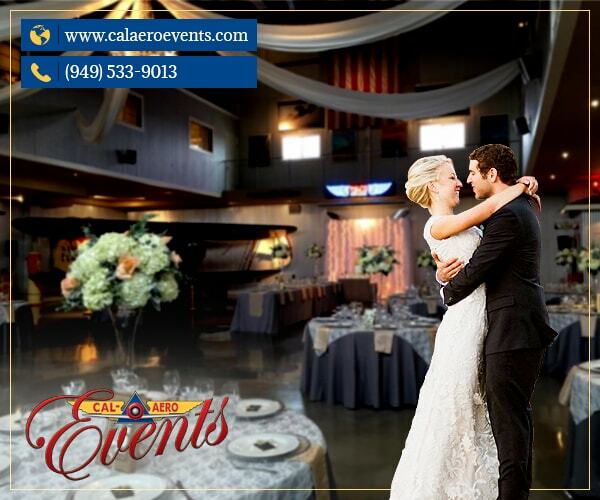 We are a premier wedding and special Event Venue in Inland Empire, California.